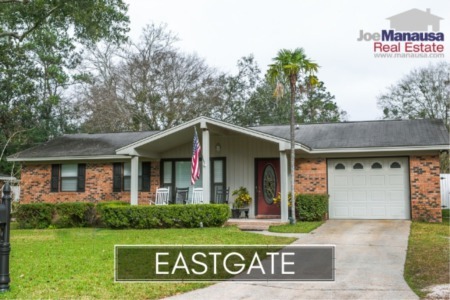 Eastgate is not as close-in as midtown, but it is well inside of Killearn Estates. This means that this popular Northeast Tallahassee neighborhood has great access to Tallahassee's most-active transportation routes, as well as dining and shopping too. In previous housing reports on Eastgate, we pointed out annual fluctuations in the number of home sales was normal for a neighborhood of this size, so we should not be surprised at the bounce-back year Eastgate is posting. Before 2016 is halfway over, expect there to be more closed home sales in Eastgate than there were for all of 2015. 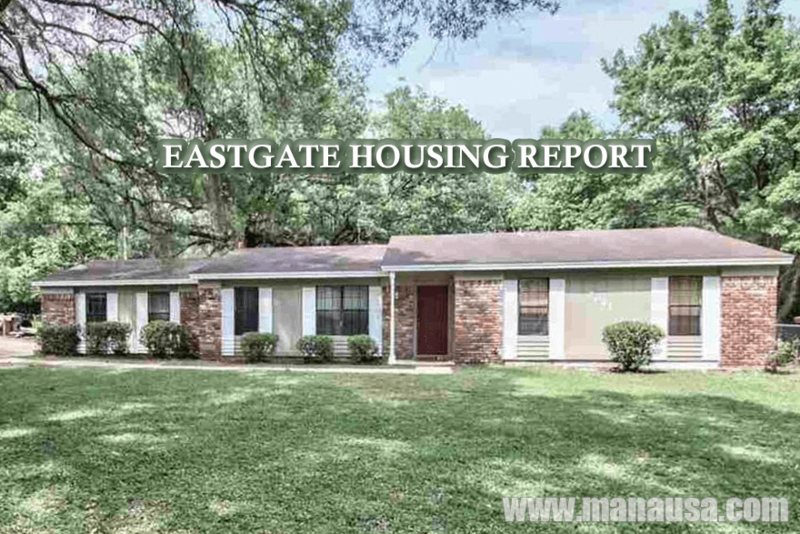 In this report, we will look at average home prices, average home values, and average home sizes in Eastgate, as well as show current listings in the Tallahassee MLS and all closed home sales going back to 1991. It is important to note that the narrative contained below is for sales through December for all previous years, but through the third week of May in 2016. 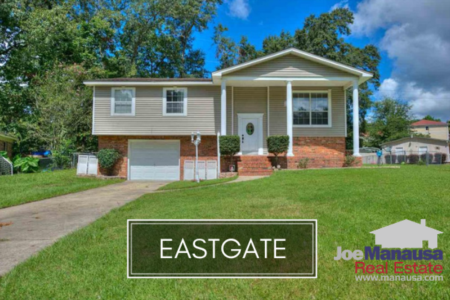 The graphs and the closed sales table will be continuously updated into the future (meaning bookmark this page if you always want to know the current status of homes in Eastgate). Home prices have recovered strongly in 2016. With 6 homes sold thus far in 2016, the current average price of $153,842 is higher than any we have seen in Eastgate since 2008. The rate of home sales in Eastgate is quite vigorous right now. There have been six closed home sales through the writing of this report. Of the six homes currently on the market, four are already under contract. Average home values in Eastgate are up nearly 6% in 2016, and this is despite a higher percentage of larger home sales. This suggests that we should anticipate average home values will actually go higher once the smaller homes have closed as well. The fact that Eastgate is located in such a desirable area is the reason we should anticipate continued recovery here. I would expect this year to see continued appreciation in this highly coveted price range in Tallahassee's northeast quadrant. The average home size sold in Eastgate typically falls in a range of 1,200 to 1,500 square feet, and this year's home sales have been at the very top of this range. The first six home sales have averaged 1,463 square feet. I hope you enjoyed our May 2016 update on home sales in Eastgate, please feel free to drop me a note if you have questions not covered in this report.